Spurs have allowed their 20-year-old striker to leave on loan until the end of the season and he will join League One side Sunderland in the hope of more game time. Tottenham Hotspur have allowed young striker Kaziah Sterling to join Sunderland A.F.C. on loan until the end of the season. Sterling has featured heavily in the Tottenham youth sides but his parent-club believe a loan move for more first-team action will do him good. Kaziah joins the League One side who currently sit in fifth-place but aim to bounce back from their back-to-back relegations. 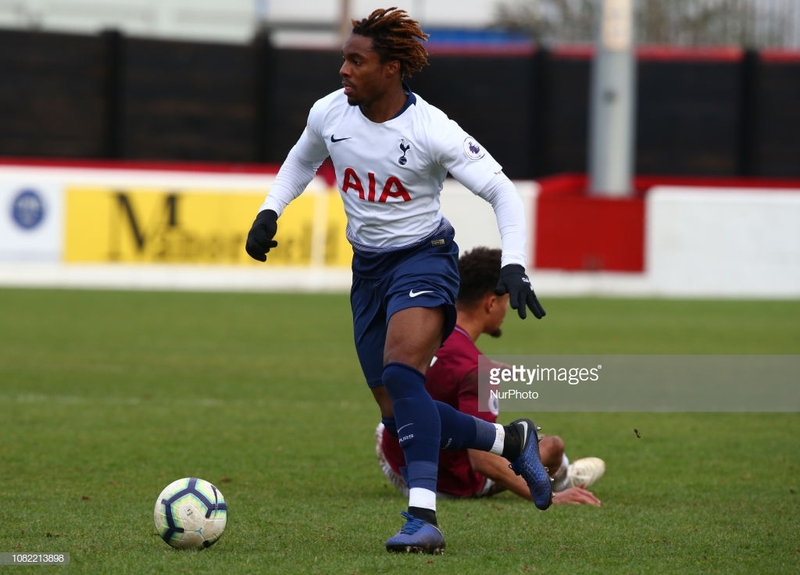 Kazaiah Sterling has been on the books at Spurs since 2015 when the north Londoners acquired his services off Leyton Orient. The 20-year-old has enjoyed life at youth level having featured in the EFL Trophy and UEFA Youth League for the Tottenham development side. Sterling has netted five times in 10 appearances for the Tottenham development side which has earned him nine caps for England at various youth levels. The Enfield-born striker has made just a handful of appearances for the Tottenham first-side with his debut coming in a 3-0 victory at Wembley against APOEL Nicosia in the Champions League. Sunderland offloaded their top scorer for this season last week as Josh Maja made a permanent move to FC Girondins de Bordeaux. Maja left the Black Cats having racked up a total of 15 League One goals in his 23 appearances. “Kazaiah has risen to the various challenges he’s faced throughout his development in youth football, and he arrives at Sunderland ready to prove himself again. “Tottenham have a world-class squad and despite his age, he has forced his way into it on more than one occasion, but now he has the opportunity to come here and test himself by playing senior football on a regular basis." The departure of the 20-year-old has left a big hole in the strikeforce of the north-east club with only Charlie Wyke and Duncan Watmore left in his place there is a big chance Sterling could feature heavily under Jack Ross. “He’s athletic, good on the ball and has an eye for goal, so he has all the attributes at his disposal to ensure he’s a success during his time at the Stadium of Light,” he added.